Microgaming is a giant in the world of online casino gaming and the creator of famous slots such as Immortal Romance, Mega Moolah, Avalon II, Thunderstruck II, Book of Oz, and Lucha Legends. Microgaming also offers other game types, including table games, scratch cards, and video poker. Live games are also available. Ardent slot gamblers that care about RTP tend to seek out Microgaming since this portfolio includes certain slots with an unusually high payout rate. For instance, Hot Ink pays back 97.5% of the income to the players, and Big Top isn’t far behind at 96.9%. Immortal Romance and Thunderstruck II are two other favorites. If we step outside the slot world, we find Microgamings Classic Blackjack with a 99.91% RTP and the Microgaming video poker machine Aces and Eights which pays out 99.09% of its income. Through licensing agreements, Microgaming has been able to turn some of the world’s hottest brands from the entertainment industry into slot machines. Microgaming has a great selection of live casino tables available online, including Blackjack, Roulette, and Baccarat. There is support for multiple languages. Live games are available both for traditional computers and touch-screen mobile devices (smartphones and tablets). Microgaming, formally known as Microgaming Software System Ltd, is based on the Isle of Man. It is a private company (not listed on any stock exchange) and has never been public. Microgaming was a co-founder of the Interactive Gaming Council in 1996 and was also one of the founding members of eCOGRA in 2003. Sites that want to offer Microgaming games online will typically opt for the Microgaming’s adjustable Quickfire module solution for desktop and mobile devices. The Quickfire product range includes Casino, Live Dealer Casino, Poker, Bingo, and Multi-Player. 1994: Microgaming was founded back in 1994, long before online casinos became a big thing, and the first Microgaming online casino was released that very year. 1998: The world’s first ever progressive jackpot slot for online casinos was released – by Microgaming. Its name was Cash Splash, and it is still alive and kicking today. 2005: Microgaming help pave the way for branded slots by releasing the highly publicized Tomb Raider video slot. 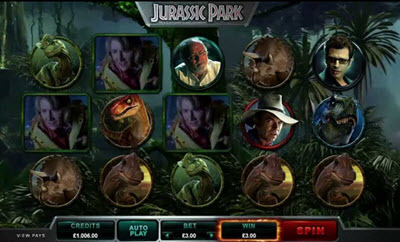 2014: Microgaming develops their first slot machine for “wearable devices”. 2015: Microgaming’s Mega Moolah slot machine pays out a progressive jackpot that is so big that it sets a new Guinness World Record for progressive online slot jackpots. 2016: Microgaming releases their first Virtual Reality games for VR headsets.